She’s got a line for every occasion, and it’s both what endears her to others, while getting her into major trouble. She is 11, with a medium build and green eyes, has curly, orange pig tails, freckles and arrives at school in her plaid Catholic school uniform, while every other student is dressed in regular clothes. She stumbles blindly in life and into roller derby—a sport banned by her mother, now chasing stardom in Nashville. 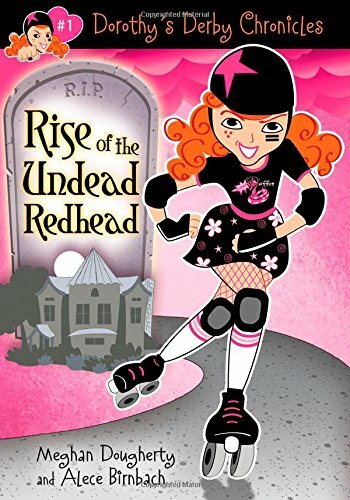 Dealing with her crazy, hearse-driving Grandma who she lives at the family funeral home, Dorothy falls into new friends and a new attitude as she takes her Grandma’s retro roller derby skates and her merry band of derby divas all the way to the championship, with her sister, Sam, by her side. Gigi Johnston is loud and mouthy and fully embodies exactly who she is and who she is meant to be, and she’ll let you know it. With dark brown eyes, and wild, brown hair teased into a powerful afro, Gigi dances to her own rhythms, usually Reggae. She’s petite on top, but her budding hips are a force on the track. She chooses Dorothy as a friend after experiencing Dorothy’s unique entrance to J. Elway Middle School in her Grandma’s flaming hearse and cheetah jumpsuit. 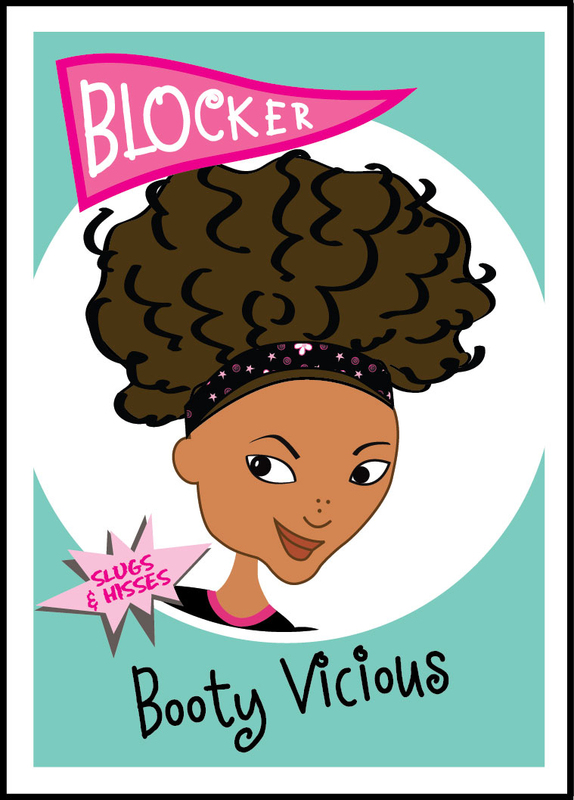 A tough exterior, Gigi has a soft, mothering side and rushes to Dorothy’s aid after a Dodgeball mishap in the gym—she’s first aide certified. 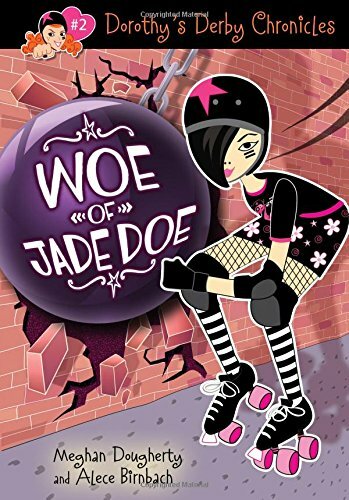 A Goth-in-training, Jade dons fake tattoos every morning and removes them every afternoon. She is 11 and a petite, soft-spoken force with dark eyes, dressed in black and combat boots with silky swooping hair.&nbsp; Jade is the girl Ninja who protects the meek at school.&nbsp; Her overwhelming curiosity about hearses and funeral homes draw her to Dorothy. She shops second-hand clothing stores that drives her conservative and flashy realtor mother nuts.&nbsp; Derby helps Jade pull out of her “loner” status and ignite the force within her thanks to teamwork. 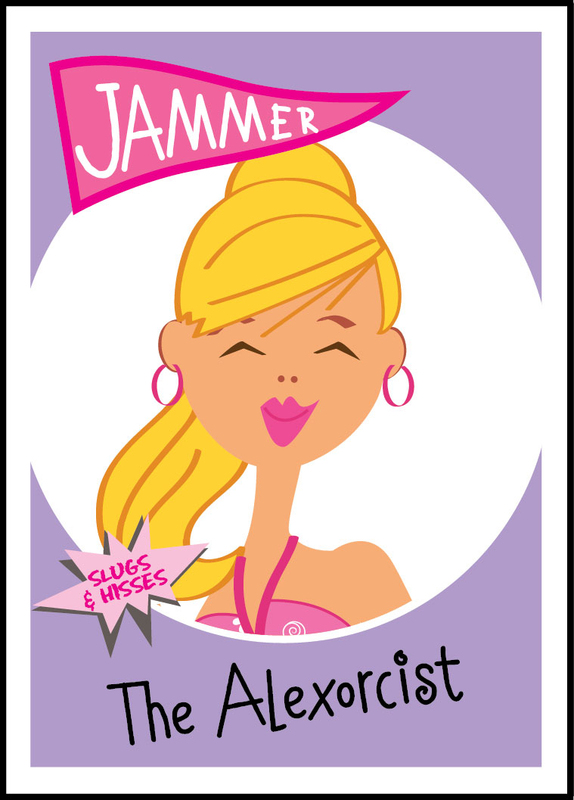 Alex is the perceived ring leader of the Pompoms, the mean and misguided cheerleaders who cheer for causes like the “Save the Forest Bonfire” and other bogus earthy causes. She has long, blond, flowing hair, blue eyes, is tall and perky and hides behind the Pompoms who worship her in hopes to hide her desperate and dark secret. She has two pageant-mad Dads and a competitive roller dance skating pastime. Blinded by her own stereotypes, Dorothy learns that Alex doesn’t drive the cruelty of the Pompoms, nor most of the stunts executed by them. Eventually, Alex tires of hiding behind her mean girl façade. A fanatic of roller derby and embracing her new life with Grandma Sally, Sam and Dorothy are as tight as two sisters can be. They protect each other and build a shared passion for roller derby. She is 8 and shares Dorothy’s bright red hair and freckles and has a frenetic buzz that dwarfs the energy of those around her. She is a natural roller skater. She misses her Mom desperately, but is making the best of her time with Grandma. Max Marino is Dorothy’s major crush. He is the epitome of super cool, which means he’s genuinely nice, adores Dorothy’s Grandma Sally and is totally cute. Max is a tall, cool, drink of water, with olive skin, brown eyes, and dark curly hair. He has a dimple and knows all there is to know about Grandma Sally’s history and roller derby. A couple years older than Dorothy, Max can execute a jivy high five and still feel like the boy next door. 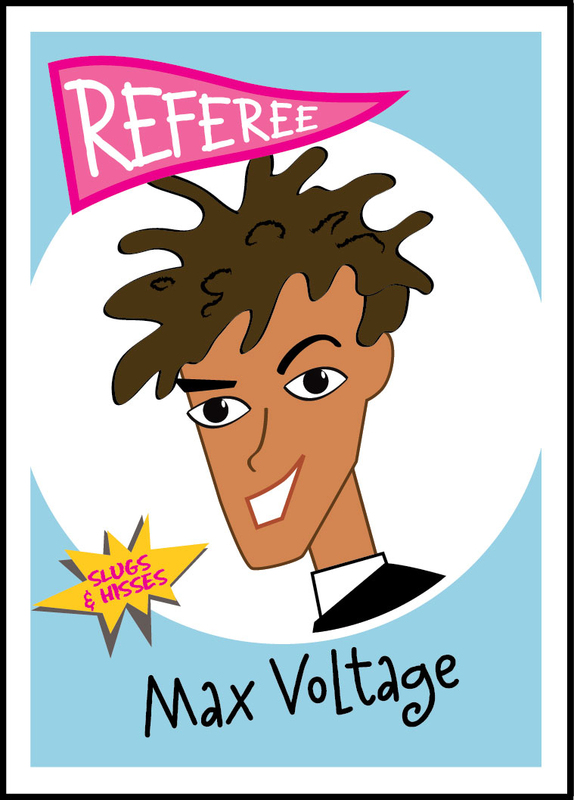 He manages Galactic Skate, his dilapidated family skating rink, where the team gets its start, and he is a referee for the junior roller derby teams in town. A leopard print purse, pink spiky hair, stilettos and a skull ring—Grandma is every young girl’s nightmare and the person every senior woman wishes she could dare to be. A retired mortician who still helps out at the family funeral home, she drives a souped up hearse and changes costumes as often as her lipstick. Grandma Sally has no apologies for who she is. Humble about her fame as roller derby star, Shotgun Sally, G-ma—as she’s called by Gigi—still knows how to pack a punch on and off the track. She knows she abandoned Dorothy’s Mom for roller derby when she was young and is making it up to her granddaughter, Dorothy, by showing her the magic of roller derby. Morti is her yappy dog that goes everywhere with her.